When I started getting interested in the hobby again after a long break, I made a long overdue visit back to the Netherlands. It was the summer of 2011. 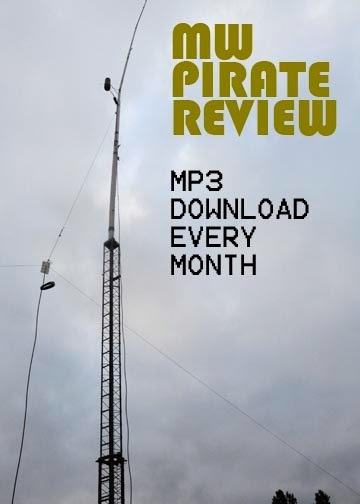 Full of renewed enthusiasm on my return home, I started the MW Pirate Review, a monthly download containing news and recordings made here in England. The Review proved very popular, with the nine editions I put together downloaded many hundreds of times. If you never heard one, you can download them here. And when I have some more time I will put together edition number ten. Like all these things, they take so much time . . .